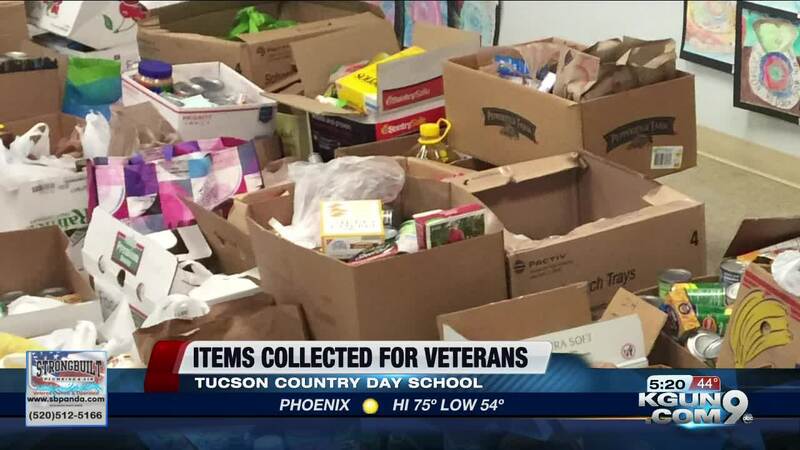 The students at the Tucson Country Day School collected more than 35-hundred non-perishable food and hygiene items for veterans during a school-wide food drive over the past two weeks. All of the products are being sorted and packed into 70 boxes that will go to low-income veterans who live in an apartment complex in midtown. Any extra items will be donated to the apartment's food pantry. Some of the younger students will take a field trip next week to personally deliver the food boxes to the veterans.